From the moment you enter you will not be disappointed! This bright and elegant corner suite has a fabulous open plan with black walnut h/w floors, beautiful moldings, a stunning fireplace, air conditioning & luxurious high end finishing. Enjoy the gourmet kitchen with window above the sink, granite counters and stainless appliances. Relax in the spa like bathrooms with heated tile floors. This home is smart wired. There are two balconies and bedrooms are separated for privacy. 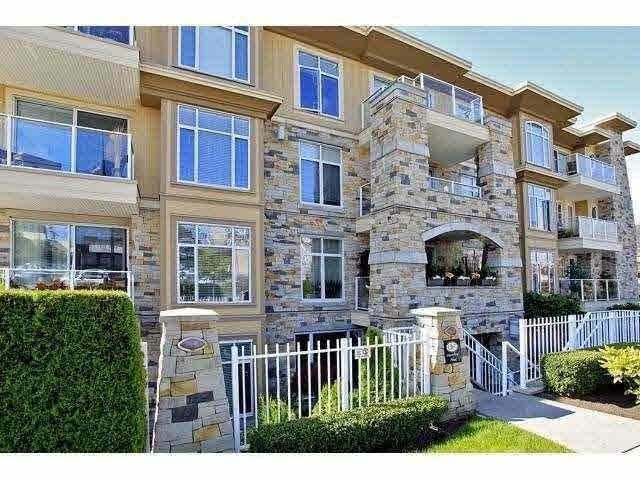 Convenient location walk to White Rock elementary, shops, Beach, bus & close to the border. All ages welcome, rentals restricted to 4, 1 small dog or 2 cats are ok. Balance of 2-5-10 warranty.